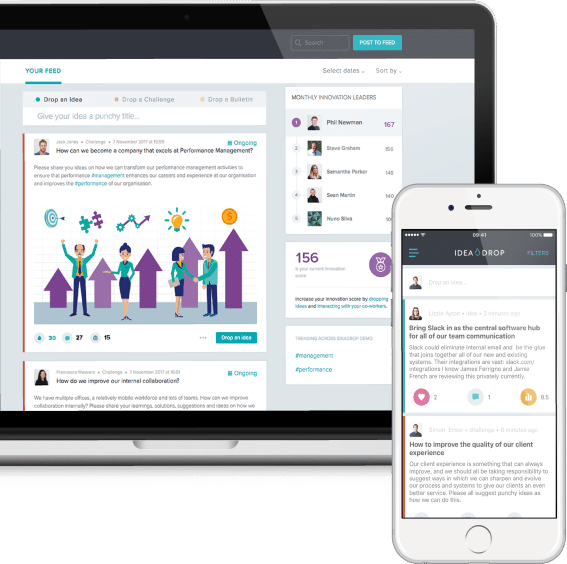 Idea Drop helps you harness the collective intelligence of your employees to solve business challenges faster. Drive top-down innovation and continuous improvement by sharing commercial or strategic challenges with a specific group or your whole organisation. Set deadlines, offer rewards and watch the ideas roll in. 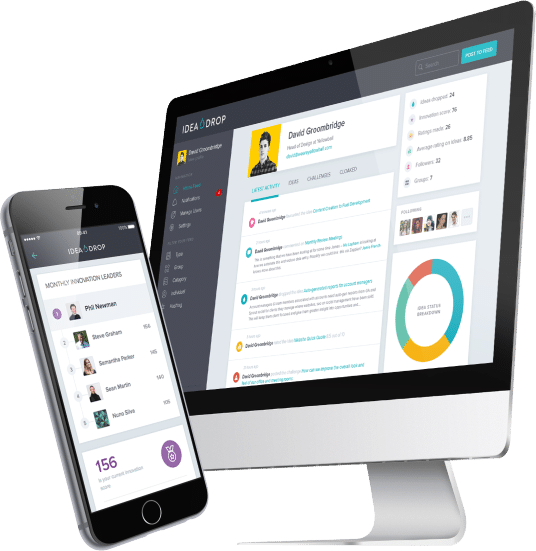 Facilitate bottom-up innovation and employee engagement by providing your colleagues with a stunning, fast and intuitive idea management platform. Idea Drop runs on web and native iOS and Android mobile apps. Let us do the heavy lifting and cut through the noise to deliver you the most promising ideas that can make a difference to your business. We track every action and automatically rank, score and prioritise ideas for you. In-built tools align with your bespoke workflow to take ideas through a structured process from ideation to implementation. Close the feedback loop with status updates, bulletins and keep everyone in tune with real-time notifications. Out-of-the-box gamification and unique scores help you measure the individual contribution to your innovation programme. Take ideas through a structured process from ideation to implementation and get a visual insight into the progression of ideas via Pipeline. Focus on the flow of the ideas, optimise the process and drive continuous improvement in your organisation. 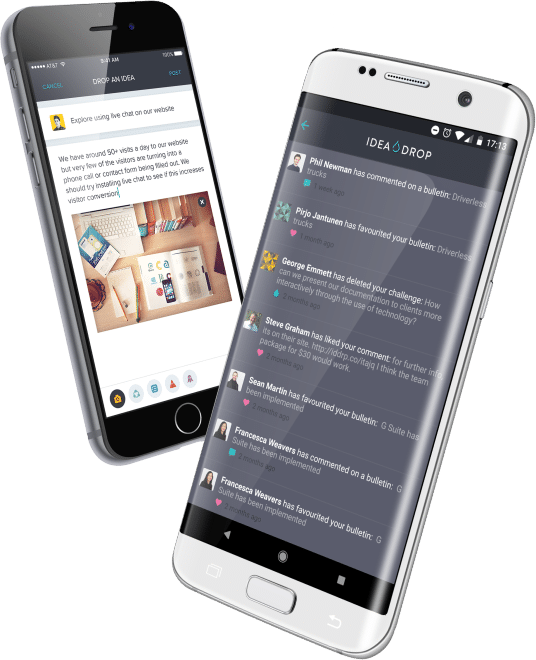 Idea Drop is an excellent tool which allows us to engage with our staff at every level and provide them with effective feedback. Idea Drop is the best tool on the market. It empowers collaboration. Idea Drop immediately broke down the barriers to sharing ideas across our global business. It is such an easy way for colleagues to express their views and insight. 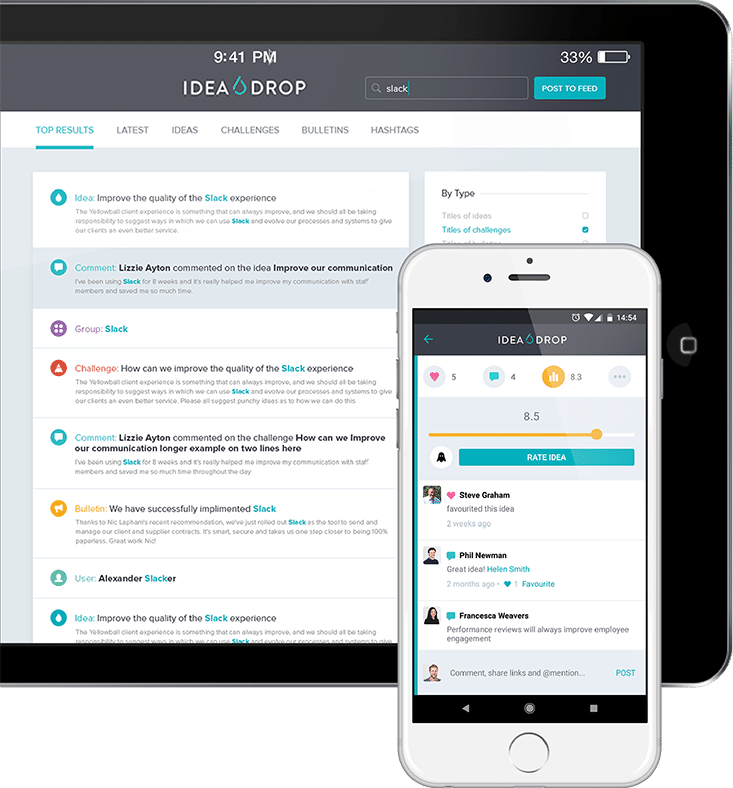 Idea Drop is intuitive, removes hierarchical barriers, and makes it faster to get help and support across the business. Our implementation process is a fusion of best-in-class technology, thought leadership and hands-on consultation. 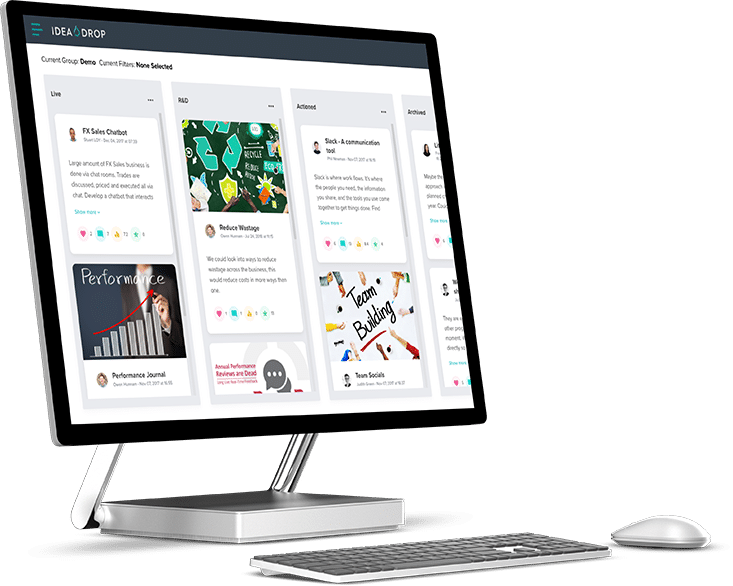 We’ll take you through a proven programme of activity throughout the launch of implementing innovation management technology within your organisation which is designed to accelerate engagement and ensure long-term success.